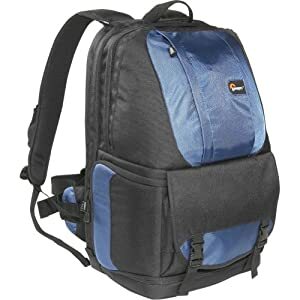 Going on a big trip and need something that will store your digital camera and laptop? This Lowepro Fastpack means business. It’s designed for the photographer and editor who needs to travel with their laptop and DSLR. See that bottom pouch part? It has a nifty little storage area for a big camera, plus compartments for lenses. That back zipper is for the laptop and all of your other odds and ends. It’s deceivingly big – I was surprised once I unzipped how much more room there was for additional items beyond just a laptop. « Bambeeno Cashmere: Cashmere Clothes For Kids!